Directions to X-S Merchandise, Inc.
X-S Merchandise is located in Independence, OH. If you were to enter our address into your GPS, you most likely won't be able to get to our facility. Our address may say 'Granger Road', but our driveway is not directly off of Granger Road. You must use one of the following directions to get to us. For assistance, call (216) 524-5620. Take Exit #157 - Granger Rd. (SR 17) / Brecksville Rd. (SR 21). Exit ramp will become Brecksville Rd. 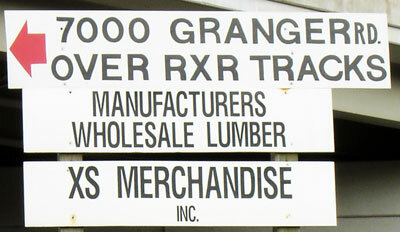 Cross over Granger Rd. (SR 17), start up the hill & make right on Old Brecksville Rd. (across from billboard with time & temperature). Go down the hill - road will turn left. Do not turn - continue straight under Granger Rd., over 2 sets of RR tracks and under a gate with '7000' on it. You will be in a lumberyard. We are in the building to the rear left of the yard. Turn left onto Brecksville Rd. (SR 21). You will cross over I-480. Immediately after, turn left onto Old Brecksville Rd. Take Exit #155 - Rockside Rd. Go down the hill – road will turn left. 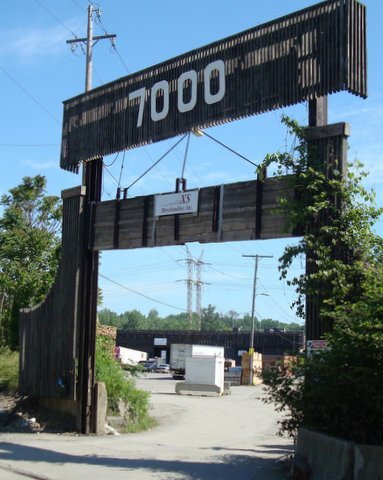 Do not turn – continue straight under Granger Rd., over 2 sets of RR tracks and under a gate with '7000' on it. You will be in a lumberyard. We are in the building to the rear left of the yard. Go down the hill – road will turn left. Do not turn - continue straight under Granger Rd., over 2 sets of RR tracks and under a gate with '7000’' on it. You will be in a lumberyard. We are in the building to the rear left of the yard.